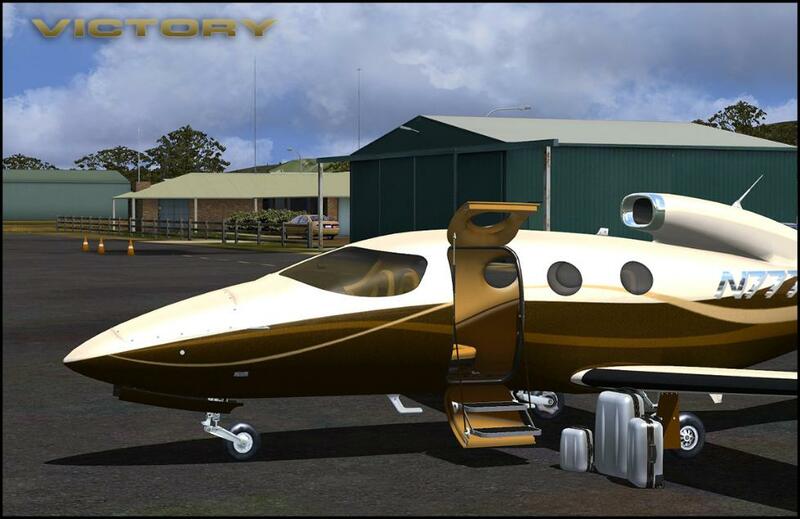 This is the sleek, new Epic Victory private VLJ business jet by Epic Aircraft in the United States. 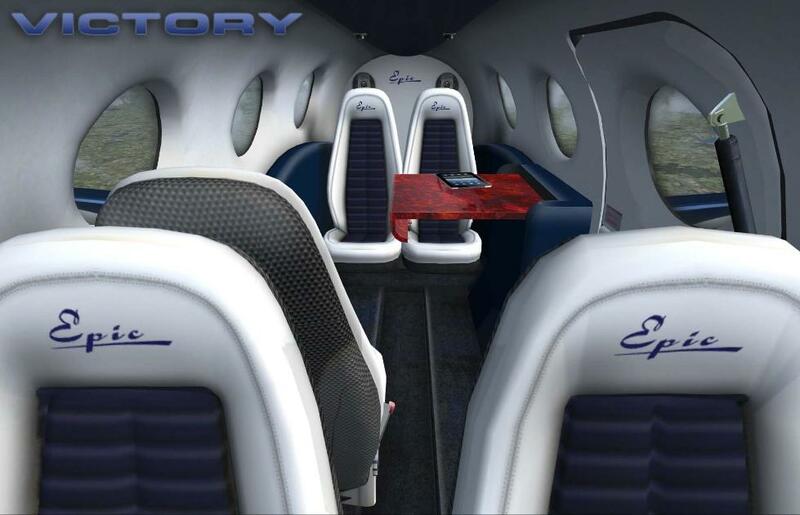 This unique, small 5 passenger jet features a single engine turbine powerplant, high mileage economy, and fast cruise at 320 Knots. 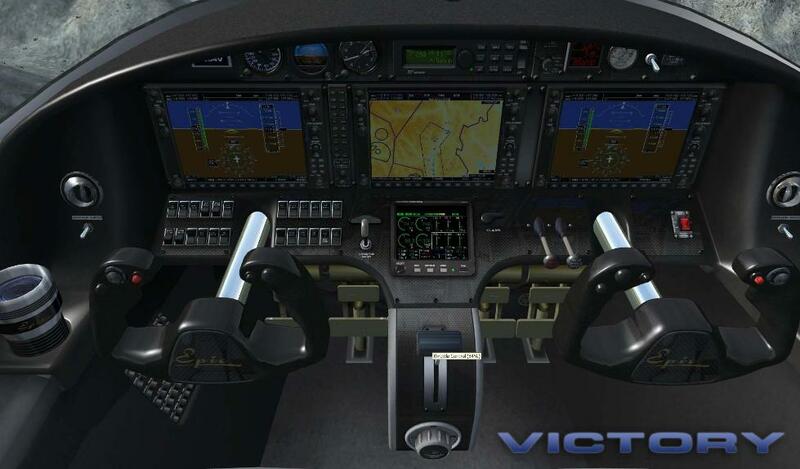 The Victory features the Garmin G1000 full screen panel system and a plush, luxurious, leather clad interior. 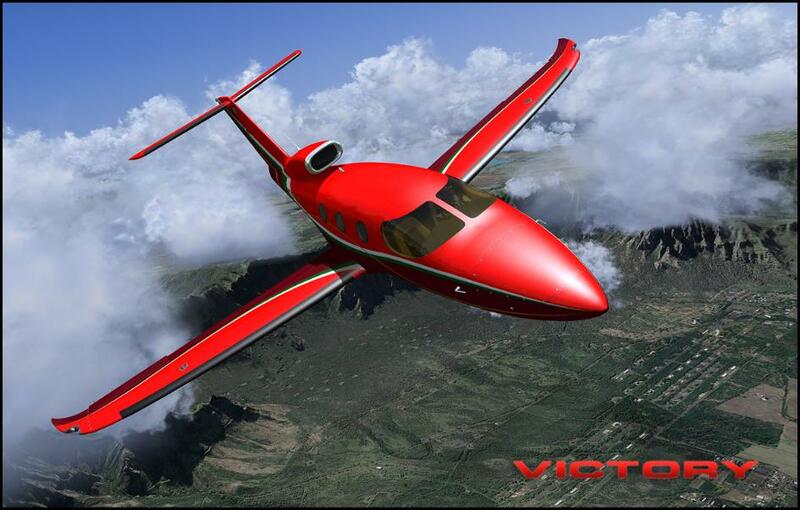 Featuring an all carbon fiber airframe, this is one very liteweight, very fast, very economical jet for todays jetset pilots. 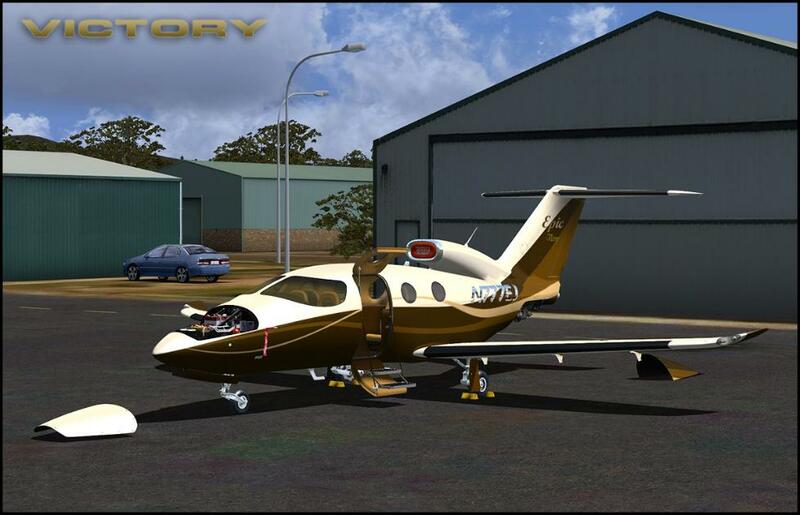 This Addon Package is by permission of Epic Aircraft Corporation. 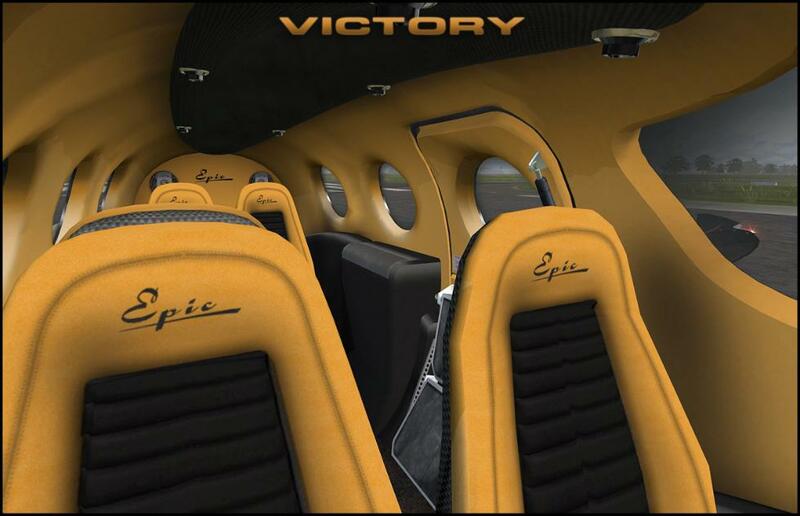 There are presently 12 different exterior paint schemes that the Epic Victory comes with. Each exterior paint scheme has a fitting interior and panel theme that will match it. Paint schemes mostly feature metal flake metallic finishes with a classy, waxed shine. 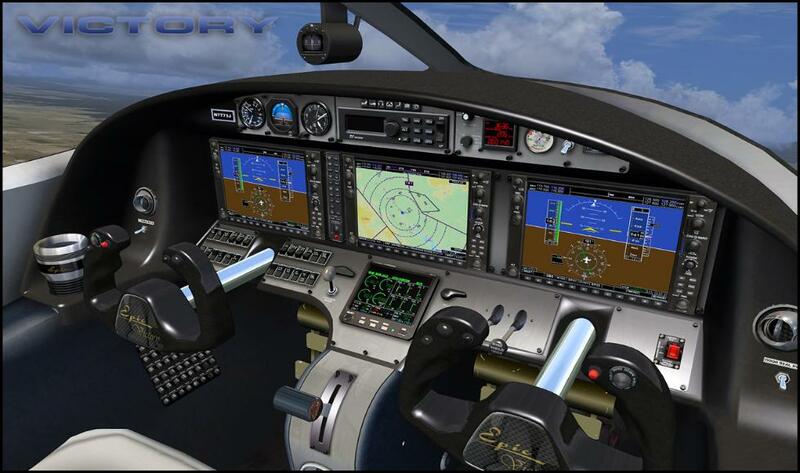 The instrument panels feature the Garmin G1000 glass panel system as well as the MVP-50 engine management screen, lower center. There are 5 different color schemes of instrument panels to accompany the 12 variant interior/exterior themes. These panel versions include dove gray metal, carbon fiber, cherry wood veneer, teak wood veneer, and walnut burl veneer. The center screen now features a built in Checklist system like the actual Garmin screens. 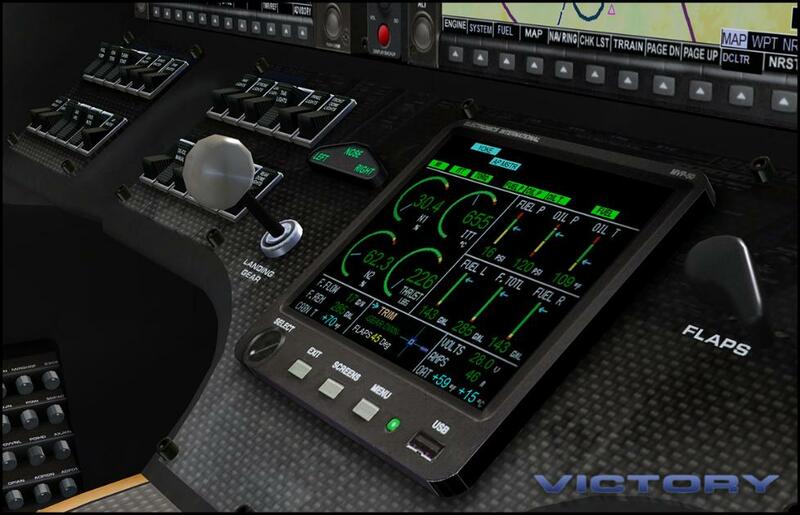 The MVP-50 features a secondary screen showing the aircraft outline and system features/annunciations. 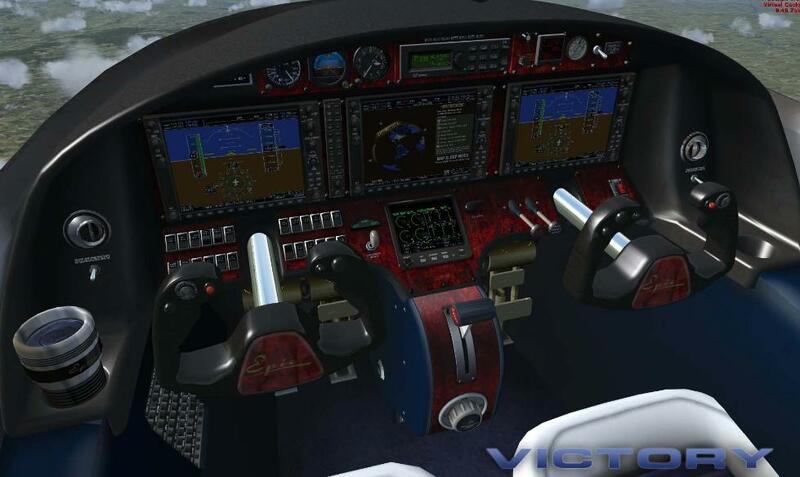 The instrumentation feature soft glow, high realism illumination for night flying 'without' the dome lights being on. This enhances the night flying visuals. Control yokes are hide-able for being able to see switches and controls that might be 'behind' the yokes. 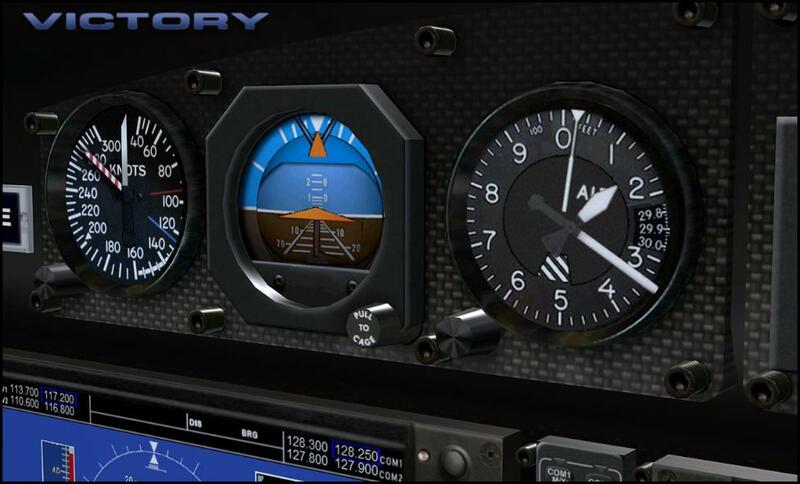 All primary instrumentation units (PFD, MFD, MVP-50, Auto Pilot) have Maximize Popup modes for better visibility. The Epic Victory comes with a 2D panel set, one gray and one wood. 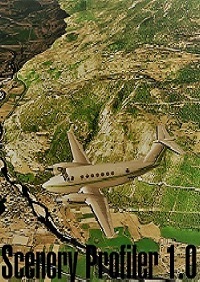 These are also duplicated into Wide Screen versions which you can add to your planes if you have a wide screen monitor. 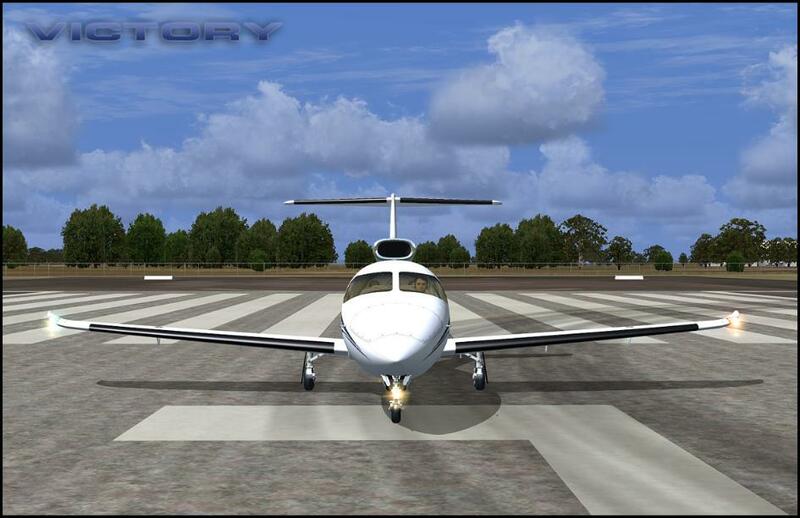 One simply adds in 'ws' to the 'panel' line of each aircraft Registry block in the 'aircraft.cfg' file of the Victory to set all 2D panels to wide screen visual modes. There are many variants of interiors featured which include grays, mustard yellows, blues, and burgandy. Each interior theme is coupled with a panel color theme as well, which as mentioned above consist of 5 different panel variations of themes. 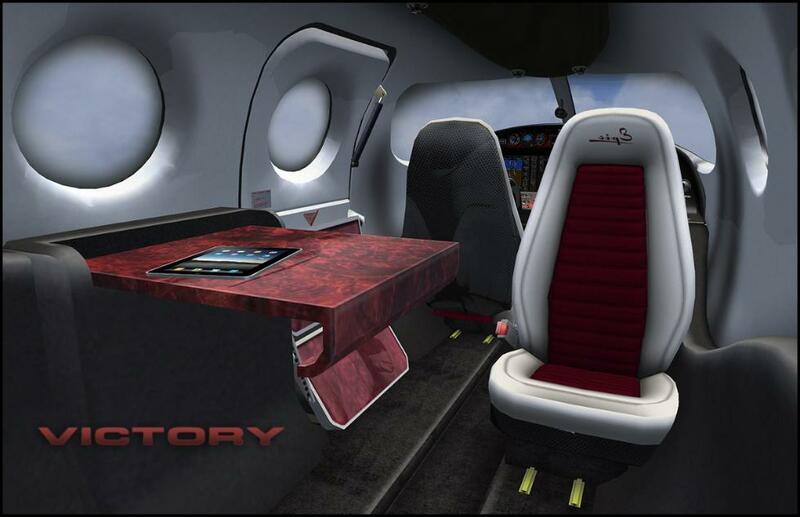 Some features of the rear cabin interior are a fold out table that deploys when the landing gear are raised. An Apple iPad tablet media computer sits on the mid-ship passenger seat. 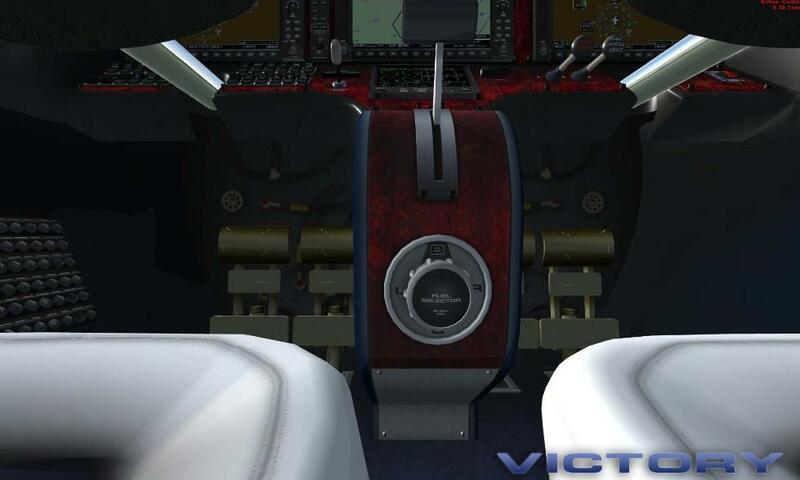 The iPad will fly over to the table top when the table deploys during flight, as seen in the screenshots below. 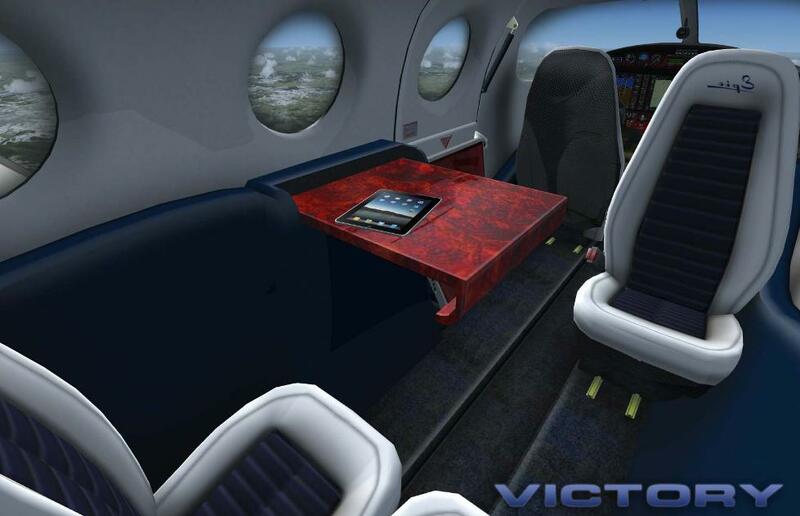 The interior, such as the seats and the interior sides of the cabin walls 'illuminate' with a soft glow when the 'instrumentation lights' are on, (after the sun fully sets in Flight Simulator). A seperate switch on the instrument panel turns on the rear cabin dome lights (2) for 'bright' illumination. Thust there are 2 modes of rear cabin lighting. 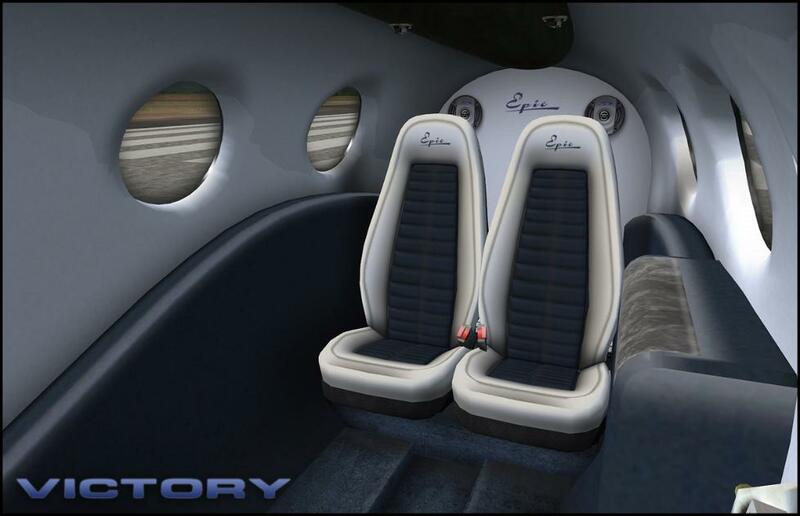 This also goes for the front cockpit area, having a seperate dome light for the front, as well as the rear cabin. Special Features are the 'extra's that the package features. In the Victory, you will find that there are a few. 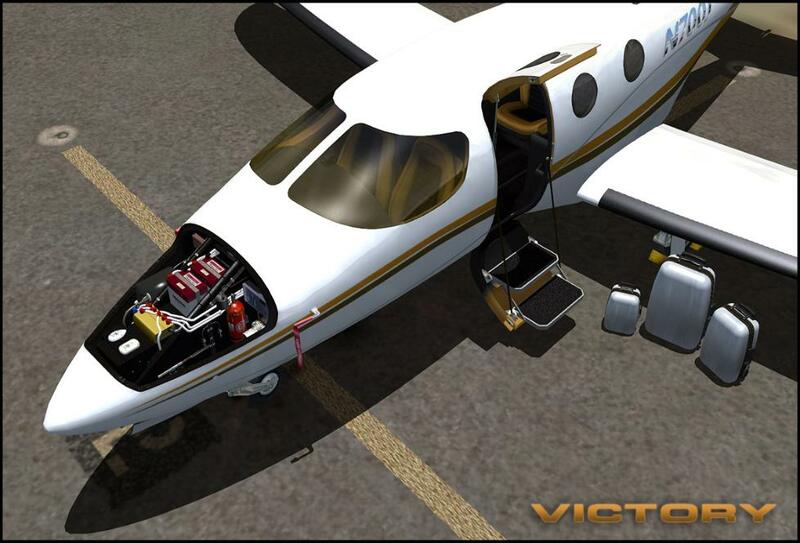 There is a 'Park Mode' which has deployed wheel chocks, turbine inlet cover, and pitot flags. The co-pilot female can be unhidden. 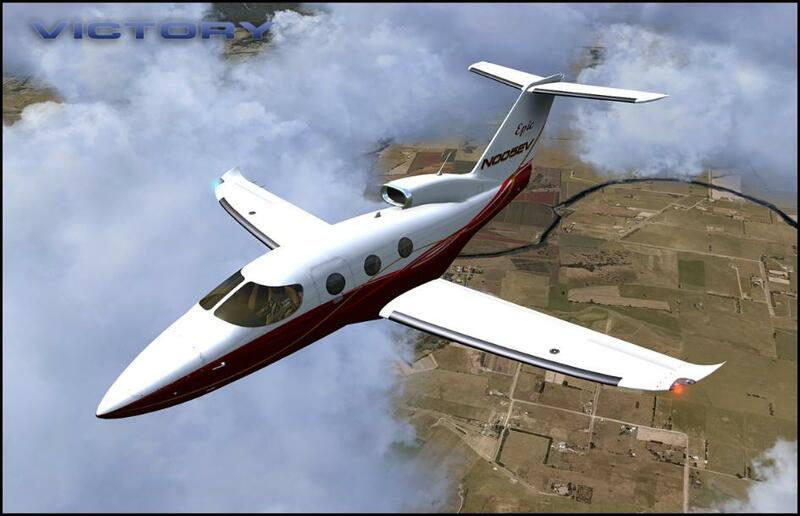 There is a removeable nose cowling door which when animated away shows the detailed nose compartment with batteries, hydraulic system, electrics boxes, GPS antennae arrays, and several other systems. In the rear, the turbine engine access cowling is also removeable and shows you the tight fit of the Pratt and Whitney jet. Another feature is the baggage which is unloaded to the pavement via a command. In the center top screenshot below, you can see the 'Remote Command Console' popup panel. 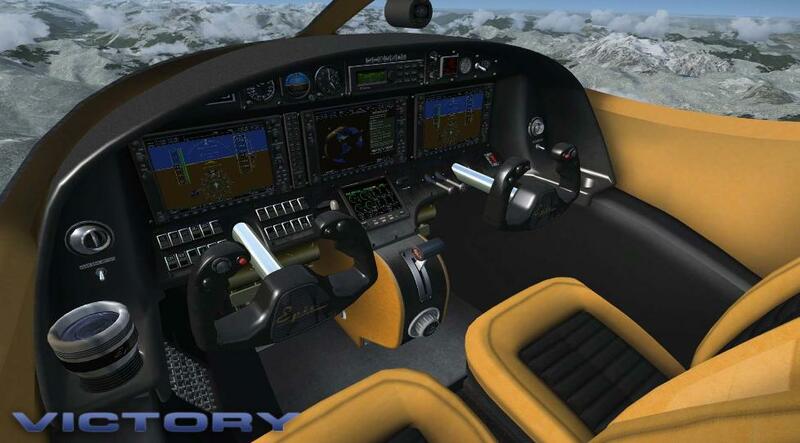 This manages your Special Features, such as front and rear cowlings animations, unhide copilot, etc. 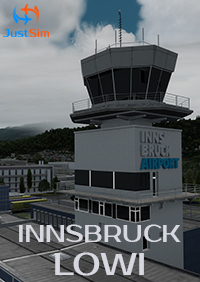 This also includes Map view mode, and will call a fueling truck to your jet if the airport fascilities you are parked at have one. 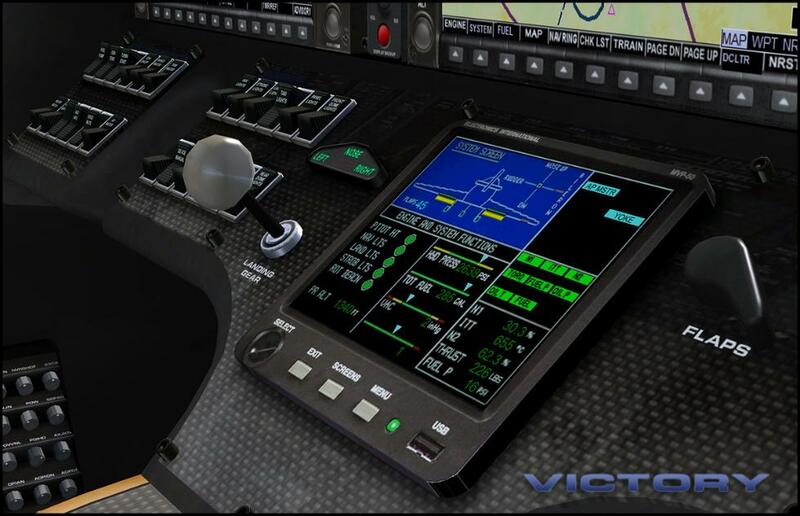 The Remote Command console also features night mode (blue lighting) and has sound tone buttons. Yellow illuminations on the RCC Annunciators specify 'non-flight' conditions, while green is 'ok in flight mode annunciator callouts. Weights Empty weight................. . 2,700 lbs. Maximum payload with full fuel............900 lbs. 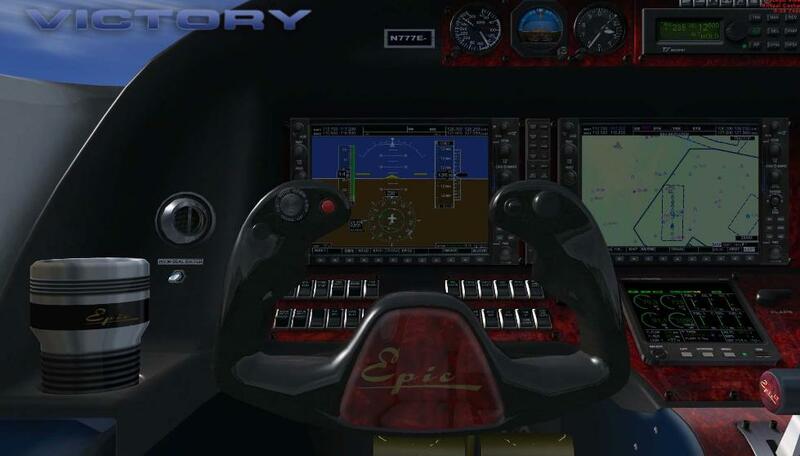 Time to climb..................................28,000 ft., 10 min. 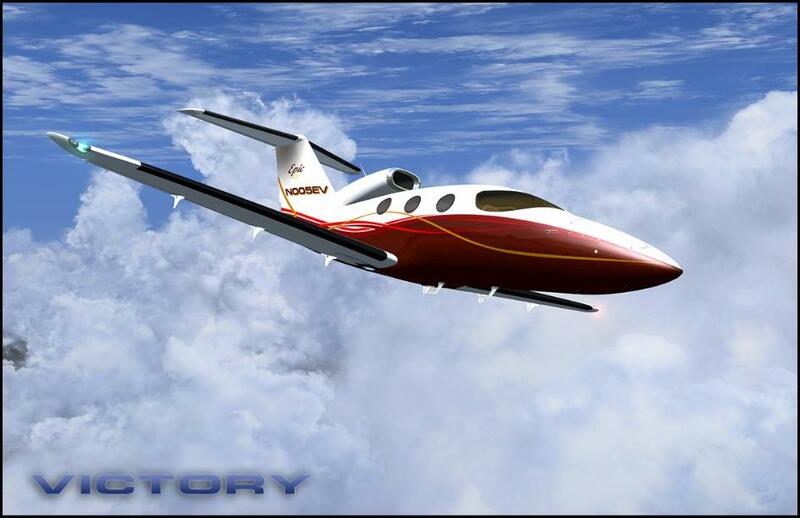 The Lionheart Creation Epic Victory tells the tale of a Very Light Jet that wasn’t. The real world implementation of this plane never made it past the prototype phases. I guess the investors got cold feet. 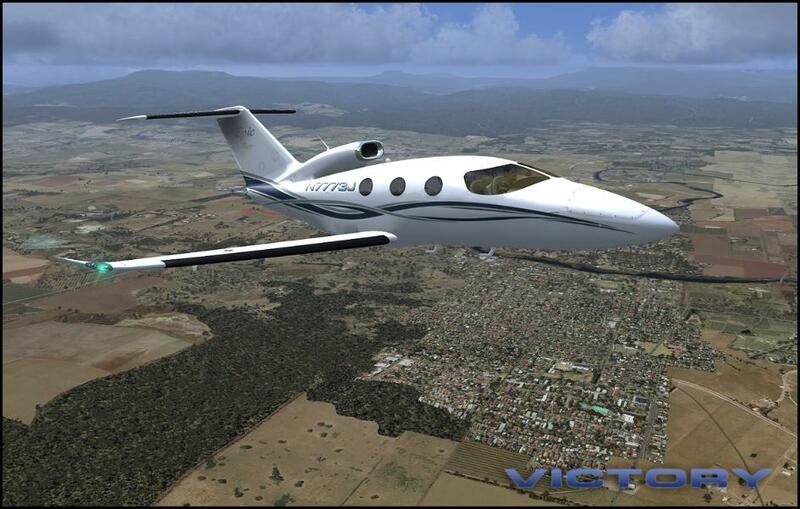 Cirrus Aviation, however, just rolled out its first VLJ, and it has a remarkable resemblance to the Epic Victory. 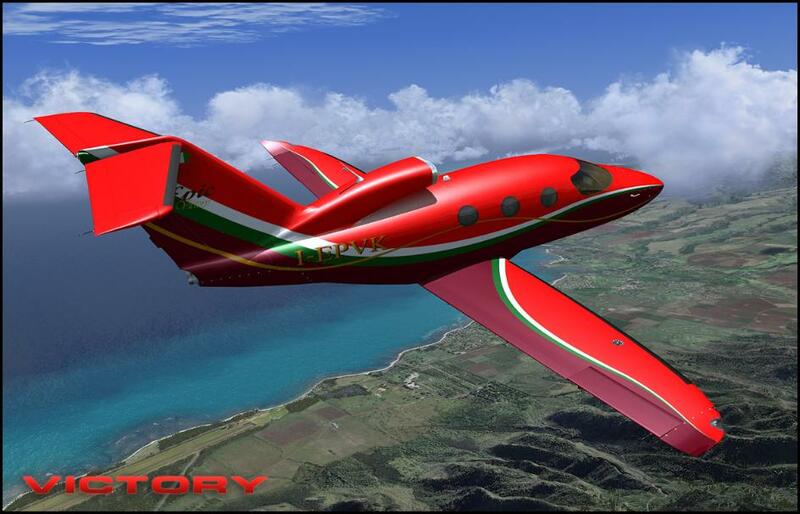 This aircraft is Lionheart’s implementation of what was to be the Epic Victory. It’s a great aircraft. Just about everything is simulated. You can also open the door, unload luggage and remove the engine cowling to see the little jet that powers this bad boy, and the front cover of the fuselage. The autopilot is a bit unusual though. It works as designed, it’s just not what you’d come to expect. Read the manual first before trying to operate the autopilot. 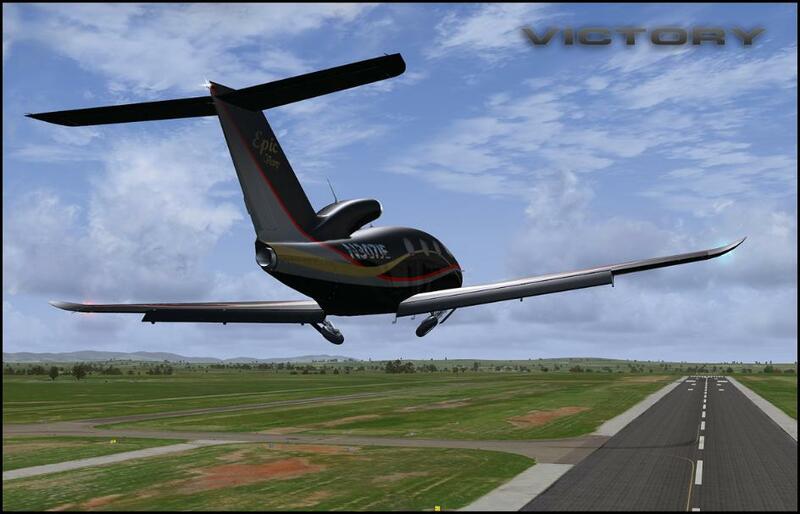 As with other VLJs, this aircraft is very easy to fly and operate. 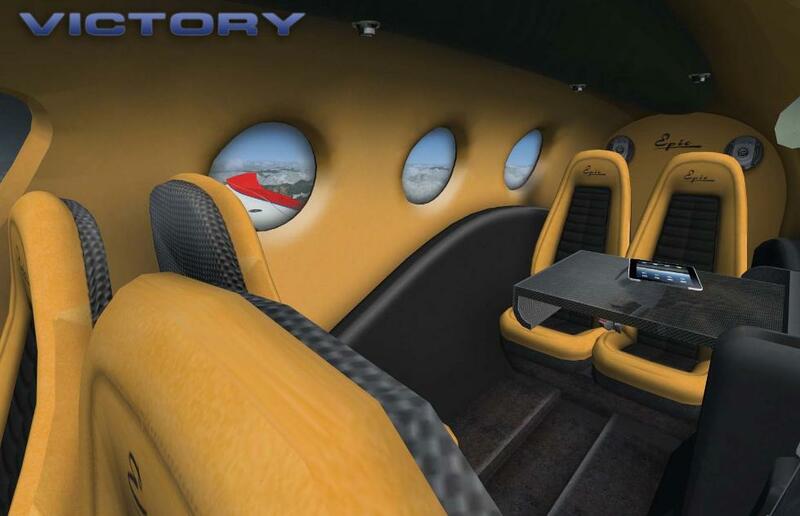 It’s a carbon Fiber jet, so it’s very light and should be treated as such when landing. 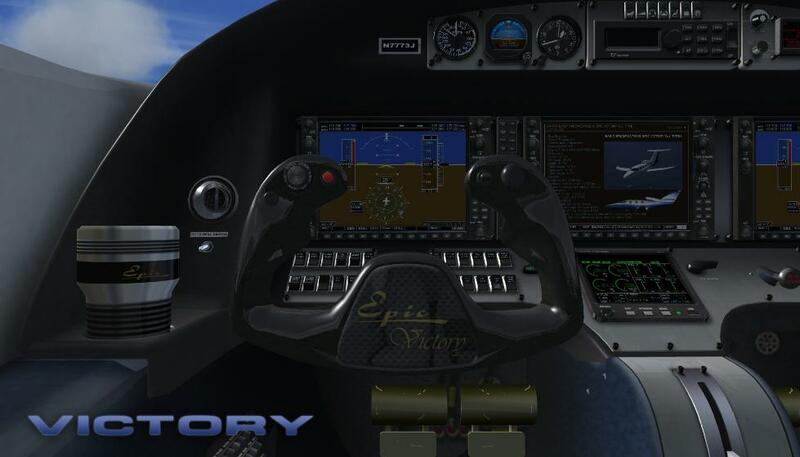 The cockpit textures are brilliant, as is the external modeling. Cockpit sounds and engine sounds are also top-notch. The only issue I have with this jet is moving around on the ground. 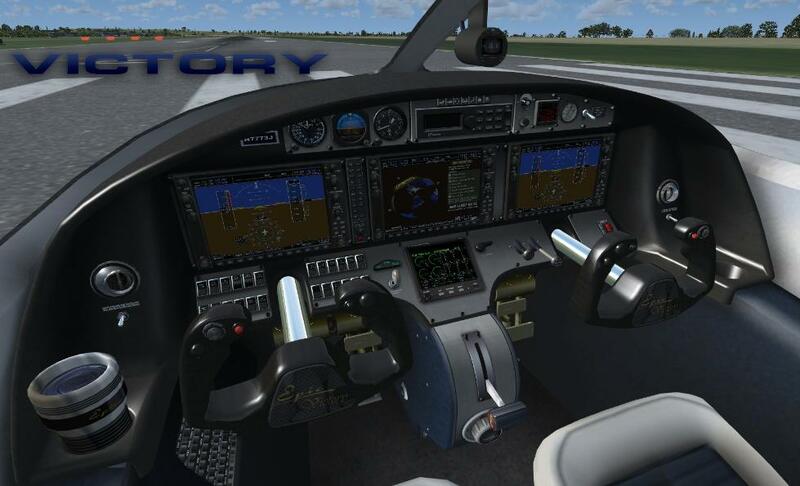 There is a defect in the aircrafts cfg file, because it’s very hard to taxi on the ground. 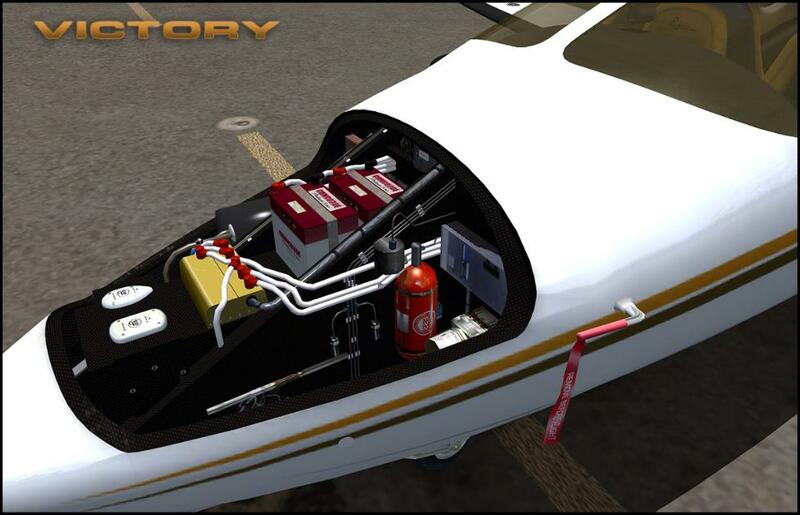 In fact I had to hack the aircraft.cfg file to fix the taxi issue. I’ve also found similar taxiing issues with other lionheart creations addons. That aide, this is a great little jet. Highly recommended. 4 Stars. 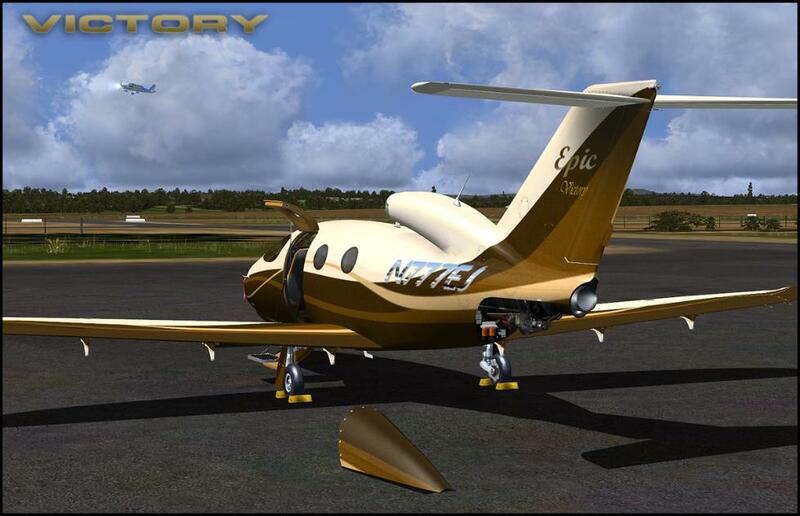 LHC Epic Victory Jet Aircraft is superb Great Aircraft to have in your collection, Textures are great and well rendered too !! Definitely worth having 5 stars !! Awful flight dynamics, cartoonish visuals, and an unconvincing experience all round. Sorry, but that's my honest assessment of this one. 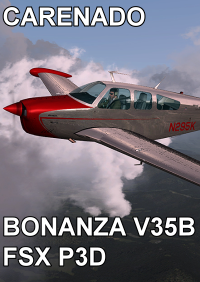 well nice small visual plane it look nice and have a Very high FPS.. it accelerates like a rocket and in some way seems to be a bit to good to be true.. as it´s quite hard to controll when departing when there is a bit of wind. seems to sencetive in the handling as well.. but if you want a small FUN plane this might be a nice one to get from a to B in a hurry. 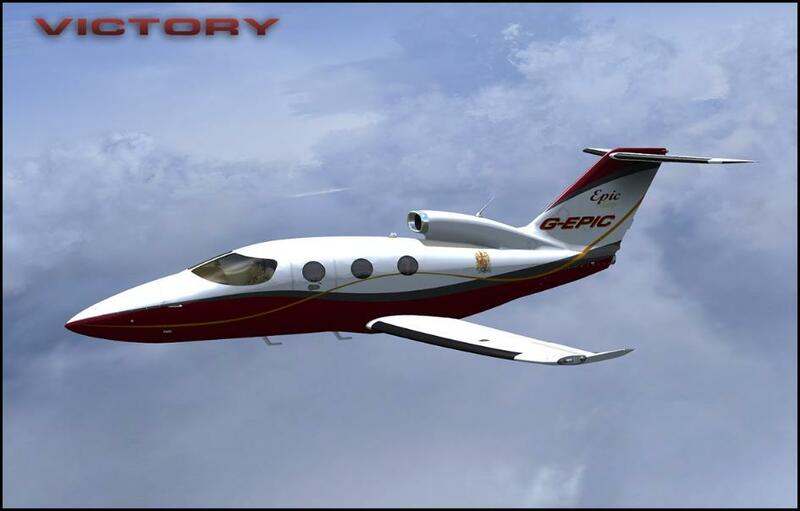 or fly it like a millitary plane whit loops and such.. a bit of a shame as i think it could have been 1 of the best light jet planes as it runs so smooth on the system even whit the gps running.  This is a great value-for-money product. Graphics both inside and out is amazing and it has a great soundset. The systems are easy to learn and it has good performance. In flight it is a little unstable as is to be expected from an aircraft of this pedigree and with the added music player, it makes you feel like you are in a real one! My only criticism is that I think the flight model is a bit dodgy when landing. I doubt you would be able to drop the real one into spaces as small as you can with this. Otherwise, I am glad I bought it. Final note: good on framerates, even with high settings. THIS SHOULD BE ON THE MOST RECOMMENDED LIST!! !THE AIRCRAFT SYSTEMS ARE INCREDIBLE!!! WAIT!! IT WORKS WITH WINDOWS 7!!!! XP!! 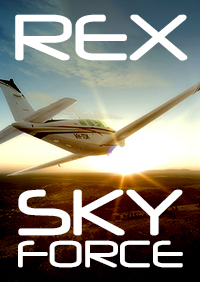 ABSOLUTELY VERY FUN TO FLY, ENVIRONMENT RICH GRAPHICS AND SYSTEMS!! IT IS A BLAST TO FLY!! QUITE CHALLENGING TOO!!! 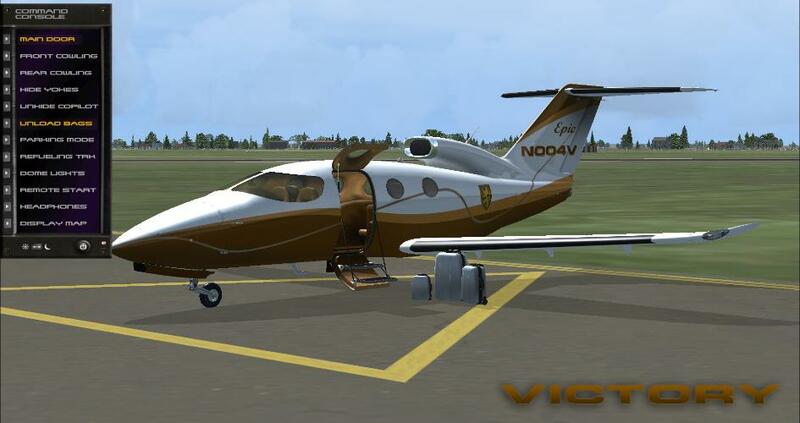 s with other VLJs, this aircraft is very easy to fly and operate. 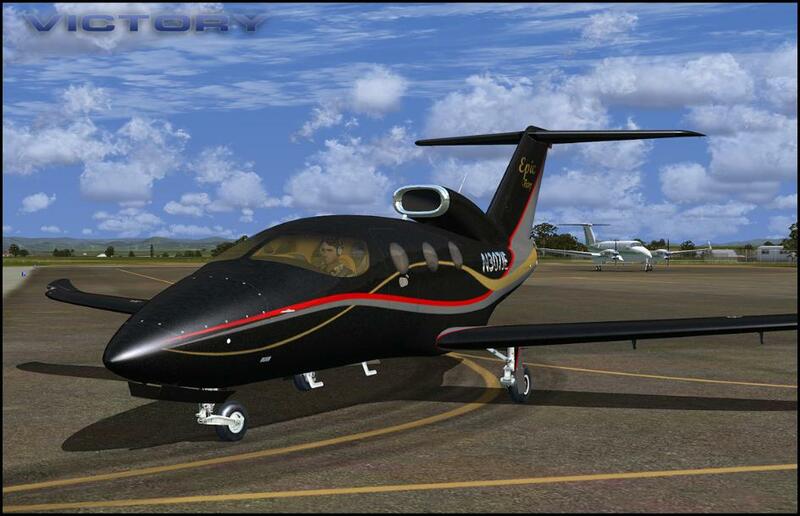 It’s a carbon Fiber jet, so it’s very light and should be treated as such when landing. 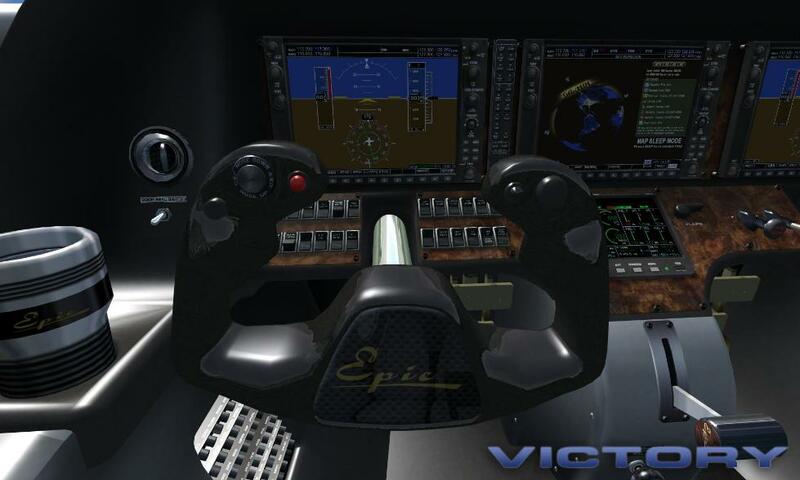 The cockpit textures are brilliant, as is the external modeling. Cockpit sounds and engine sounds are also top-notch. The only issue I have with this jet is moving around on the ground. 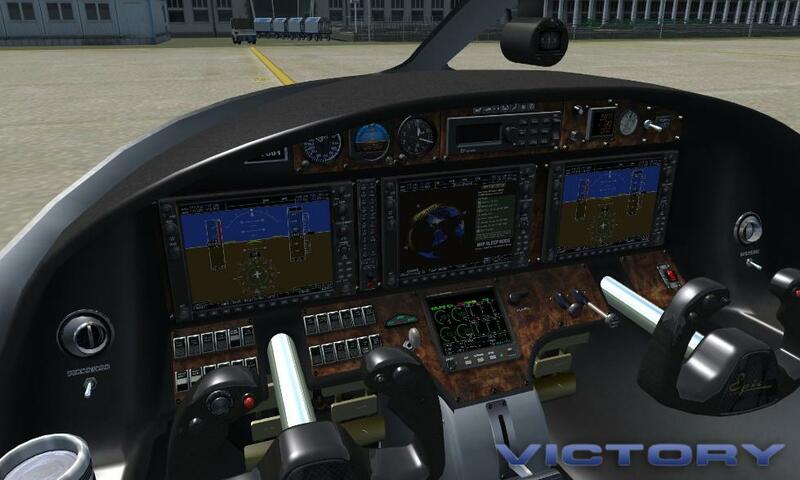 There is a defect in the aircrafts cfg file, because it’s very hard to taxi on the ground. 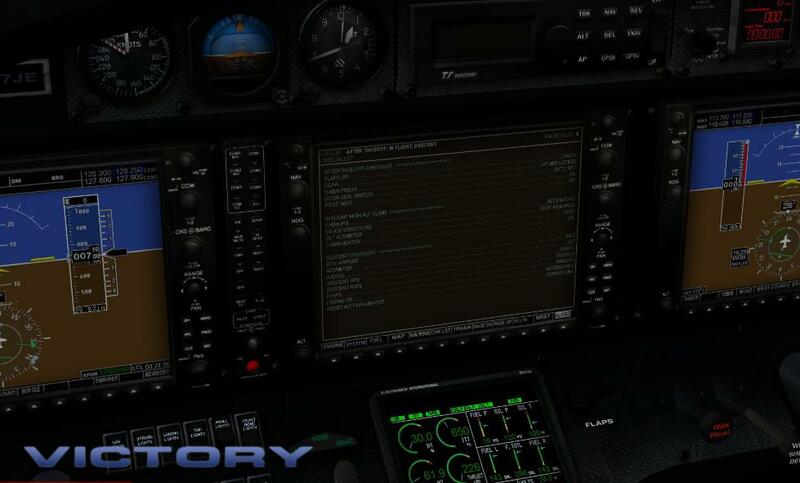 In fact I had to hack the aircraft.cfg file to fix the taxi issue. I’ve also found similar taxiing issues with other lionheart creations addons. That aide, this is a great little jet. Highly recommended. 4 Stars. 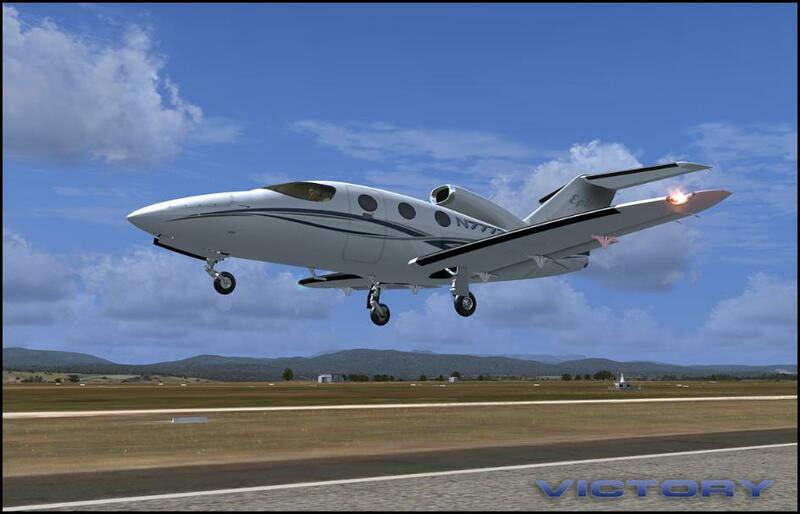 LHC Epic Victory Jet Aircraft is superb Great Aircraft to have in your collection, Textures are great and well rendered too !! Definitely worth having 5 stars !! 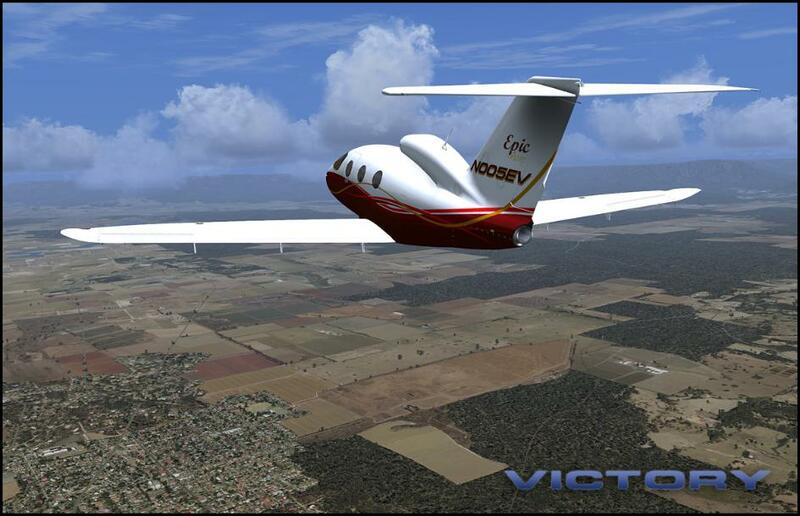 Y VERY FUN TO FLY, ENVIRONMENT RICH GRAPHICS AND SYSTEMS!! IT IS A BLAST TO FLY!! QUITE CHALLENGING TOO!! !